Industrial power supplies need to be highly efficient, reliable and flexible over broad operating conditions. One of the first criteria is efficiency. Low thermal dissipation results in higher efficiency, which enables systems to forego the fan and operate satisfactorily with natural methods of cooling. This helps to achieve high system efficiency and reliability while reducing system cost. Additional factors for achieving reliability and flexibility are a wide output range with constant current (CC)/constant voltage (CV) mode and overload capacity, which can satisfy more load types and operational conditions without complex circuits and additional costs. Even for special overload conditions, a power supply with overload capacity can deliver enough power without breaking down, which further enhances the security of the power supply and load. In this blog, I will discuss three important considerations when designing industrial AC/DC power supplies – achieving high efficiency, wide output range with CC/CV loop and overload capacity. With a lot of options available, the choice of the topology and controller is critical when trying to achieve high efficiency of the circuit over its operating range. Transition-mode power factor correction (PFC) has the advantage of reducing switching losses since there is zero current switching (ZCS) for both the metal-oxide semiconductor field effect transistor and the rectifier diode in all working conditions. ZCS soft switching can eliminate the reverse recovery of the rectifier diode. 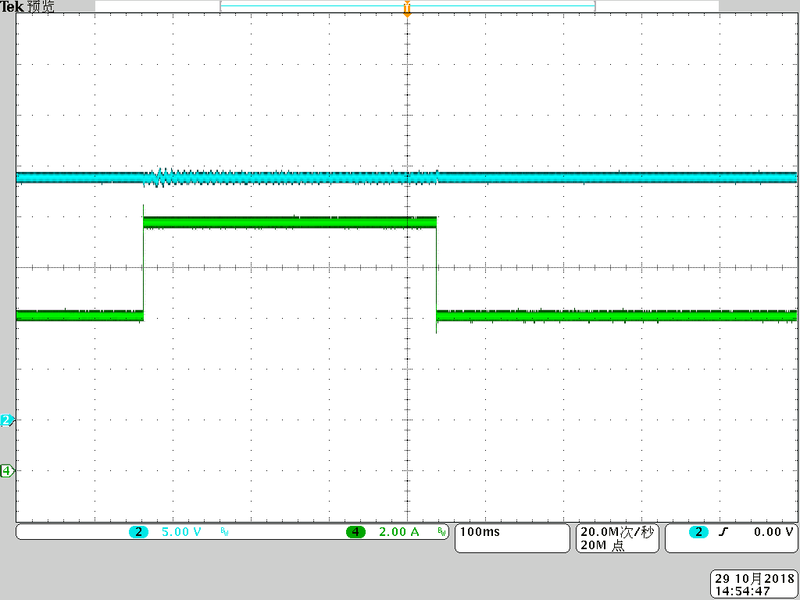 TI’s UCC28056 PFC controller also has valley synchronized turn on, which can further decrease switching losses. For the DC/DC stage, the inductor-inductor-capacitor (LLC) topology is a preferred choice because of its soft switching nature; the TI UCC256301 LLC controller also has control techniques that offer efficiency advantages. Based on these topologies and controllers, the “94% peak efficiency, 150W norm, 240W peak industrial AC/DC power supply with CC/CV reference design” enables more than 94% peak efficiency at 230 VAC and more than 92.5% peak efficiency at 115 VAC, enabling systems to work without forced cooling. Additionally, the design uses the UCC24624 output synchronous rectifier with the controller to reduce output rectifier losses and improve the overall ability to operate at a high efficiency. Figure 1 shows the efficiency curve of the reference design. A wide and adjustable output voltage makes the design adaptable to many different industrial applications, which are meant to be flexible, universal and adaptive for a longer lifetime. The output voltage can be adjusted according to different load conditions by changing the variable resistor. With both the CC loop and CV loop, this design can also adapt to battery charger applications and LED applications. When the charger works in CC mode, the output voltage gradually rises with the battery voltage. The range of the battery voltage is wide, so the battery charger has to satisfy the condition. The output condition is similar for an LED application. The output voltage is variable with different numbers of LEDs. To achieve a wide output range, the resonant tank calculation of the LLC is critical; you need to make sure the circuit doesn’t enter the capacitive region at the maximum output and minimum input conditions. You also need to select the appropriate frequency region near the resonant frequency in order to achieve high efficiency of the LLC over a wide operating range. You can achieve the CV/CC feedback using our TL103W operational amplifier, which has integrated dual op amps with an internal voltage reference, as shown in Figure 2. The short-time overload ability is a common industrial power supply design requirement. Overload capacity can enable a system to operate under some overload conditions without breaking down. Our reference design can deliver 1.6 times the rated load for three seconds. In order to achieve overload ability, you need to calculate the PFC inductor based on maximum load; otherwise, it can’t deliver the necessary power. Also, the resonant tank parameter of the LLC needs to prevent the system from entering the capacitive region under the worst working conditions with the maximum output power. Working in the capacitive region may cause severe damage to primary switches, so the UCC256301 has a ZCS avoidance function that can prevent the system from entering the capacitive region. Figure 3 shows the short-time overload ability of the reference design. Overall, this reference design helps achieve high efficiency and reliability in industrial power supplies. With our controllers and used topology, the design can help you achieve critical advantages in many industrial applications.